Robert Priest’s presentation on the meaning of the terms “witch”, “witchcraft” and “sorcery” is very important. One of the main reasons is that currently the terms are used differently at various places with diverse meanings. Tim Stabell thought we did not need to be precise but could refer to such terms as “the alleged innate mystical power to harm others,” or “the actual use of ‘medicines’ with the purpose of killing an enemy.” One of the challenges with this position is that many Christians and non-Christians continue to use these terms. And in fact in many places witches are still greatly feared by people, including Christians. Interestingly in Africa, the fear of witches differs from one country to another. I was surprised to visit one country in Eastern Africa, where a woman fell down during a prayer session. Her husband quickly joined some people to pray for her. He was praying that the demons should leave his wife. I was surprised because in Ghana, the woman could have been a victim of divorce if her husband was not properly counseled. But here the husband had taken lightly, considering it as an illness. In Ghana, witches are thought of as people having inherent power to cause harm or to help people. Somehow they are considered as mostly using it for evil. Thus witches are seen as enemies of society. The people who were thought to have the powers to neutralize those of the witches were the traditional priests called akomfo. The early anthropologists referred to them as witch-doctors or fetish priests. 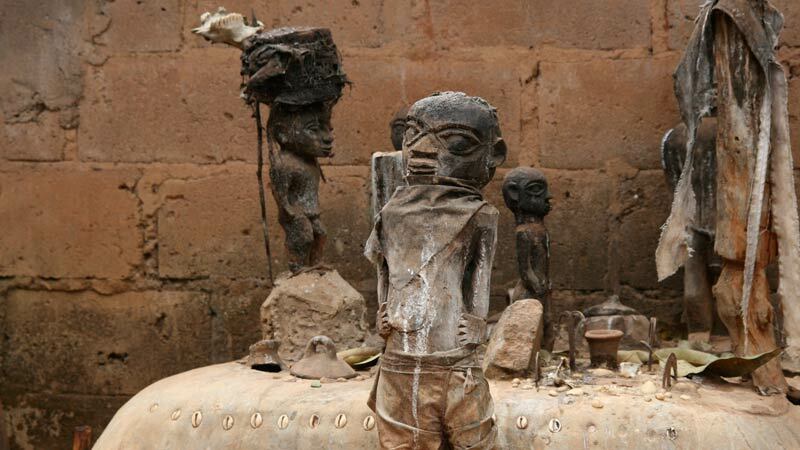 The komfo is the person, either male or female, who is possessed by a deity or a god. Until the advent of Christianity in Ghana, they were highly respected people who were considered to be the mediators of deities, called abosom. There were two main divisions of the deities. The first were the tutelary gods, who were thought to take charge of the welfare of the state, clans, villages, families and individuals. The second were the executing gods whose main activities centered on witch-hunting and were considered to inflict punishment on them more than the tutelary gods. Currently in Ghana many people still trust the powers of the traditional priests. They are often consulted by many respected people including politicians, quack pastors, rich and poor people for prognostications concerning their future in politics or life. The names of the deities are used to curse people who offend others. What makes the whole issue quite complicated is that the traditional priests are also thought to have witchcraft in order for them to be more powerful. Thus witchcraft still becomes a focus. Sorcery is called aduto in the Akan language in Ghana. In fact many Ghanaians differentiate between witchcraft and sorcery. Formerly it was expected of every elderly person to have some knowledge of herbs for curative purpose. The person who specialized in herbs was called odunsini. Whereas the herbalists (odunsini) may not be directly associated with a spirit or a deity but has the knowledge of herbs for curative purposes, the sorcerer (odutofo) must be able to cast spells, neutralize spells, and protect against spells, in addition to the knowledge of the use of different herbs for curative and harmful purposes. The traditional priests were also very good in herbs and used herbs in their ministries a lot. It was believed that sometimes if the priests did not have witchcraft the witches would neutralize their herbs. Thus, to become a very good traditional priest a person needed to have witchcraft in addition to the spirit possession. Nevertheless, the act of priesthood was supposed to be different from witchcraft. In witchcraft the person was thought to have been born with an inherent power, or as some assume, been given that power by a relative. In priesthood the person is supposed to be indwelt by a spirit entity which can leave and come back either by its own will or by invitation. Formerly priesthood was not thought to be evil, but with the advent of Christianity, the possession of the traditional priest by the spirit entity was termed as demon possession. This means we have two terms here. Witchcraft which is supposed to be inherent power, and demon possession which is supposed to be the indwelling of a spirit entity. Christians often use these two terms interchangeable. Hence I coined the term “witchdemonology” to describe the practices going on among Christians concerning witchcraft, demonology, sorcery, exorcism and deliverance. Many of the “deliverance ministers” also use the terms interchangeably. For example, in his book, They Shall Expel Demons, Derek Prince wrote, “as we trace the tortuous, deceptive paths of demonic activity and the occult, we discover that they all proceed from one primal source: witchcraft”. Thus while some Western Christians concern themselves with demons, some Africans, while accepting the Western term, reformulate it within their concept of witchcraft in a new way which is a combination of the terms witchcraft and demonology. Therefore, “witchdemonology” is used to describe the beliefs and practices of “deliverance ministry” in Christianity. I consider the term as a synthesis of the practices and beliefs of African concepts of witchcraft and Western Christian concepts of demonology and exorcism. In other words, from my perspective, I consider our discussions as discussions on witchdemonology. 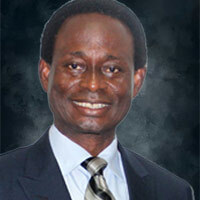 The Chancellor of Pentecost University College and the Chairman of the Church of Pentecost. He holds PhD from the University of Birmingham, UK.